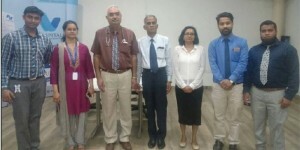 Thank you Dr. Bharathi AV and Dr. S. Padmanabhan for delivering lectures on ‘Body Composition Measures: Theory and Practice in Clinical Settings’ and ‘Management of Anemia in Dialysis Patients’. 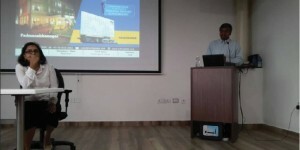 The first session was based on interactive talk and training, which was really enlightening for the audience. Dr. Bharathi AV is the founder/ lifestyle coach of Just Right- Weight Loss Solutions. In the second session Dr. S. Padmanabhan systematically explained how to manage Anemia in patients undergoing dialysis. 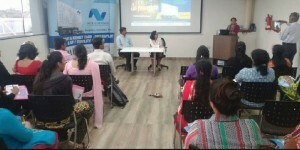 It was a one day event organized by NU Hospitals in the Summit (Auditorium). 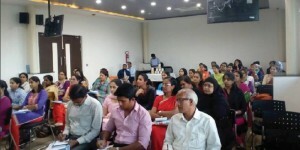 A large number of doctors, nurses and trainees took part in this event and contributed in the discussions and training program. Without such a number of participation, the event could not have been successful.